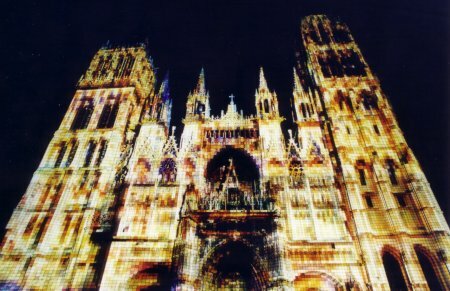 During the summers 2004 and 2005, the Skertzo company was in charge of the lighting of the Rouen cathedral. 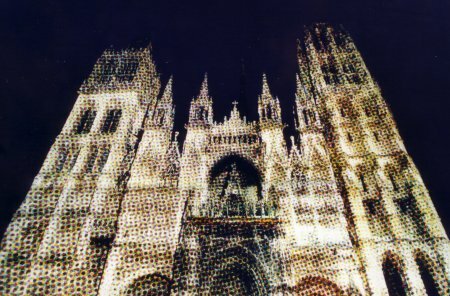 Instead of highlighting the details of the cathedral they have decided to build a show based on one of the most famous representation of this cathedral, the Claude Monet's cathedrals serie. 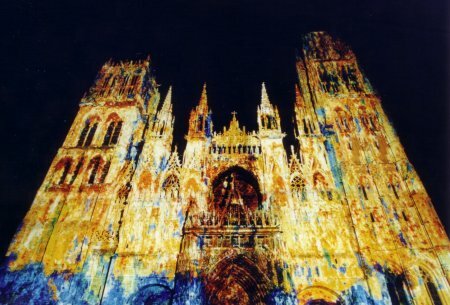 This serie painted between 1892 and 1893 represents the Rouen cathedral at different time of the day and is one of the major Impressionist work of art. This show projected some of these paintings on the original model. 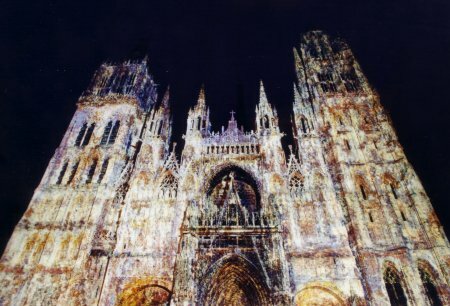 Between the Monet paintings, more modern paintings were projected such as this pavings. And at the end a pointillist version.